Recently, Mr. K discussed his role at Tillotson and all of the new technology he has been able to help set our students up with. Be sure to get your Tillotson gear to help support our student activities fund! All orders and payment are due by September 28th. Amazon donates to ACLD, Inc.
Over 290lbs of food was collected for the Cloverleaf and SHIM pantries. Thanks to everyone for contributing donations. 3x your impact! 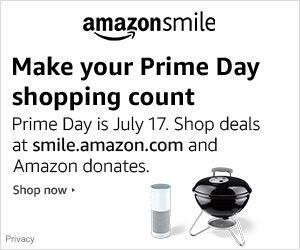 From March 12-31, Amazon is tripling the donation rate on your first smile.amazon.com purchase! Go to smile.amazon.com/ch/25-6094749 and Amazon donates to ACLD, Inc..
is now on sale for $15.00. in the Art Room by Wednesday, February 14th. The ACLD Tillotson School is pleased to announce the sale of the Holiday Card Collection during the month of December. support the Class of 2018 Scholarship Fund.